Holidays are a time to relax and enjoy a much needed break while spending some hard earned cash. Falling foul of the numerous holiday rip-offs can make a dent in any wallet. Spotting and avoiding the holiday rip-offs should ensure that you won’t get financially burnt even before you leave the country. If you want to save a bundle then try to avoid the peak holiday months. July and especially August are the busiest holiday months of the year and this is when travel agents will rack up their prices. Holiday makers can save a lot of money by booking even a month before or after the peak holiday seasons. Taking a holiday in September after the busy period should ensure that holiday prices are slashed. Of course travel insurance is vital, but buying from the holiday companies will mean paying extra. Holiday companies will try to sell travel insurance but nine times out of ten it can be found elsewhere at a much lower cost. In most cases the insurance sold by travel companies will not be up to the standard of other insurers. Check out and compare travel insurance prices on the internet before taking out any holiday insurance. Buying your holiday through a holiday company will mean the offer of numerous extras. These can vary from car rental to airport parking to first boarding priority on flights. These will all add significantly to the cost of a holiday and should be avoided. It will be much more cost effective to sort out any holiday extras yourself before booking a holiday. The surcharges on flights alone such as airport check in can be easily avoided by checking in online before travelling. Using a credit card while abroad will simply eat cash in terms of currency conversation charges and interest fees. In many cases you will only notice the charges a few weeks after returning from holiday. Using a credit card to withdraw cash at an ATM will leave you even more out of pocket. Using a pre paid travel credit card should help to avoid these charges. Always check before leaving how much a credit card company charges for using the card abroad. Buying currency on holiday or at the last minute will usually guarantee you do not get the best rates. 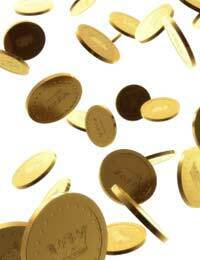 Many holiday makers make the costly mistake of buying their currency at the airport. Airport foreign exchanges will never usually be a great deal and travellers will usually pay commission at these offices. Go for the commission free exchange service before leaving but always compare the rate of exchange at different currency exchange points. Not many holiday makers actually consider haggling over the price of a holiday but it can be worthwhile. All travel agents add their own fees and charges to the holiday price that has been set by the tour operators. If you are buying a package holiday then make the agent aware that you have seen the same holiday for less money elsewhere, even if you haven’t. Holiday agents are very competitive and do earn commission, they may be willing to knock off some cash just to make the sale. Booking a holiday through an internet holiday agent can also avoid a number of charges set by the high street holiday companies. Internet holiday companies have fewer overheads and usually have much more choice than the high street agents. Internet companies are able to compare numerous holidays offered by the tour operators so it is worthwhile comparing these holidays first. Don’t forget companies such as Teletext or television holiday shopping channels. There has been a significant rise in identity theft and credit card fraud reported by holiday makers abroad. In many cases the problem isn’t even noticed until well after the holiday. The hotel safe is the best place to keep credit cards, driving licences and passports; any of these items can be used for identity theft. Also be wary of restaurants that take credit cards out of sight to be processed. The same precautions that are used at home with regards to credit card safety should be used when on holiday. Holidays are a time to relax but this doesn’t mean holiday makers should be completely oblivious to all of the holiday rip-offs that can take place. There is no reason to throw money away if it can be avoided. Avoiding the holiday rip-offs will mean that your smile doesn’t fade as quickly as your tan when the next bank statement arrives.